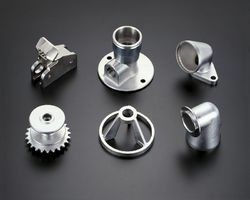 We have facilities for cnc and vmc machining with powder coating. With the constant support of our trained and dedicated professionals, we are fulfilling the varied requirements of clients by offering optimum quality Jigs And Fixture. In synchronization with the set industry standards, this product is manufactured using latest technology and high quality raw material. Our product is checked on various quality parameters under the supervision of our quality experts.